The Department of Justice has released its findings into the investigation of East Haven, CT police practices. A fuller version of the findings is here. 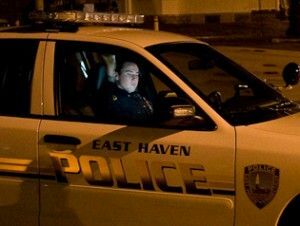 Based on our investigation, we find that the East Haven Police Department engages in discriminatory policing against Latinos including: targeting Latinos for discriminatory traffic enforcement; treating Latino drivers more harshly than non-Latino drivers after traffic stops; and intentionally and woefully failing to design and implement internal systems of control that would identify, track, and prevent such misconduct. The pattern or practice of discriminatory policing that we observed is deeply rooted in the Police Department’s culture and substantially interferes with the ability of the Department to deliver services to the entire East Haven community. Longstanding, extensive police harassment of Hispanics and Latinos in East Haven, CT appears to have triumphed. The wheels of justice grind so slowly that despite a Justice Department civil rights investigation, the commencement of a criminal investigation by the FBI, and a federal civil rights lawsuit brought by students at Yale, Hispanics are unable and unwilling to continue being subjected to the abuse, selling their homes and moving. Santiago Malave, a probation officer who works in New Haven, says the racial abuse is so bad that he crosses the town line into East Haven only to go home. He and his wife are now preparing to sell their house and move, joining an exodus of Hispanics who say police have hassled them with traffic stops, false arrests and even jailhouse beatings.